“Everything that is reflected in the comic really did happened to us. 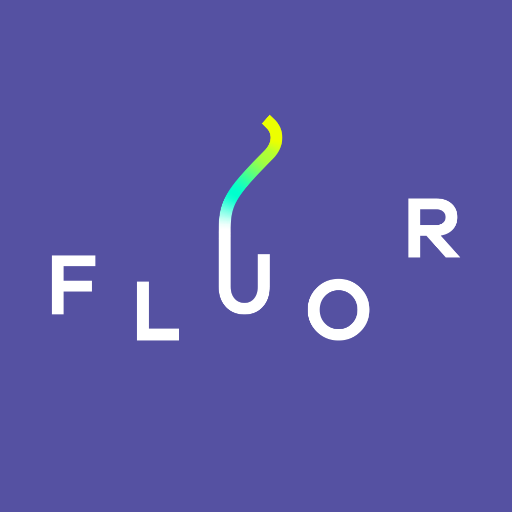 I noted it all on my mobile phone as it happened so that I would not forget it, and then we went back and gave it shape”, says Eduardo Prádanos, the comic´s author and founder of the agency FLUOR Lifestyle. The comic recounts real situations, and not advice. “Advice to first-time dads is often very difficult to give”, says Eduardo Prádanos, “because it is often given without being asked for, as some sort of invasion, and from an unrealistic standpoint that we must be perfect as first-time parents.” And it was exactly this that was the second trigger for his decision to narrate his story in this work. The book covers many of the experience that new parents will go through: childbirth classes, discussions about the need to buy one car fit for babies over another, the harmful opinions of certain people that question the child’s education and the enormous lack of sleep caused by a baby that does not sleep well. 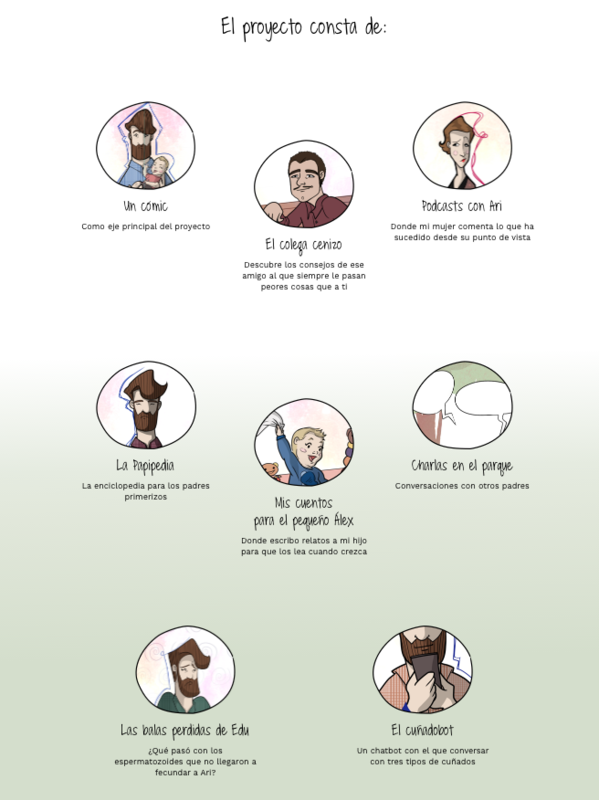 – The comic book: as the cornerstone of the project. – Podcasts with Ari: audio recordings of his wife, where different situations are explained from her point of view, which are very different from Eduardo’s telling. – Edu´s lost bullets: the sperm that was not able to fertilize the author’s wife. 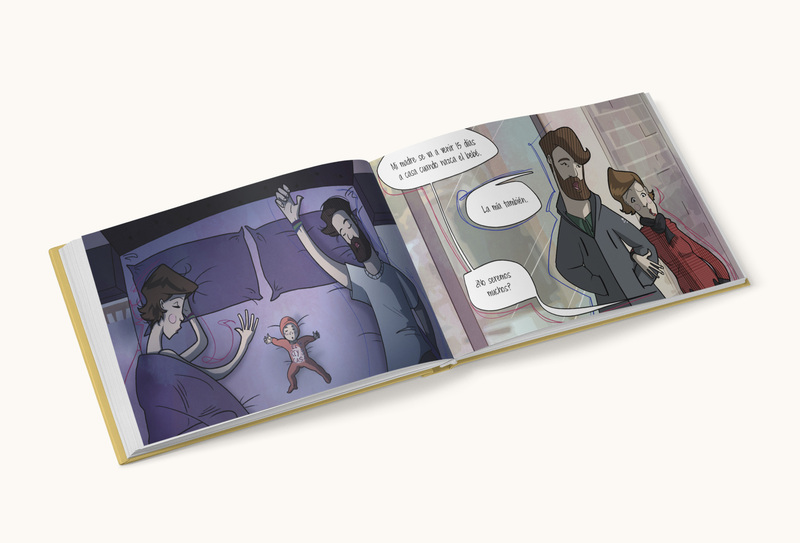 – Stories for little Alex: where the author writes short stories to his son. – The Daddypedia: an encyclopaedia for first-time dads. – The talks in the park: conversations with other parents in video format. – The “brother-in-lawbot”: a chatbot in which to converse with three types of brothers-in-law: the motivated brother-in-law, the moaner brother-in-law and the punky brother-in-law. 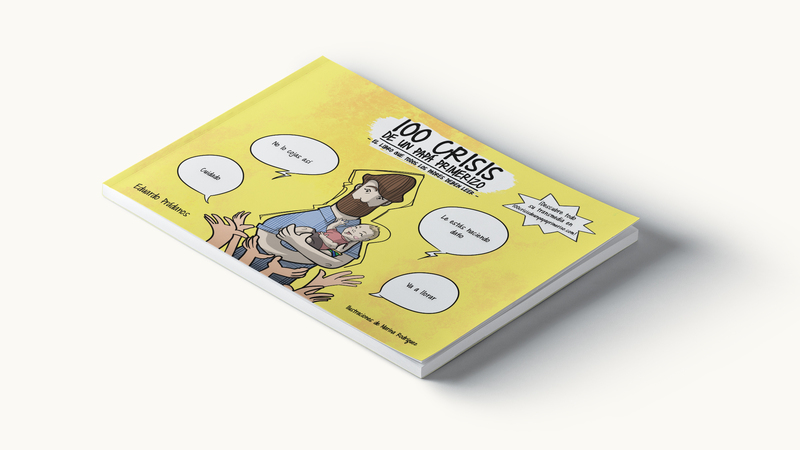 ‘100 crises of a first-time dad’ seeks to connect with new parents, with all those who are about to have a baby, and with those long-time parents looking to remember those times they have already started to forget.